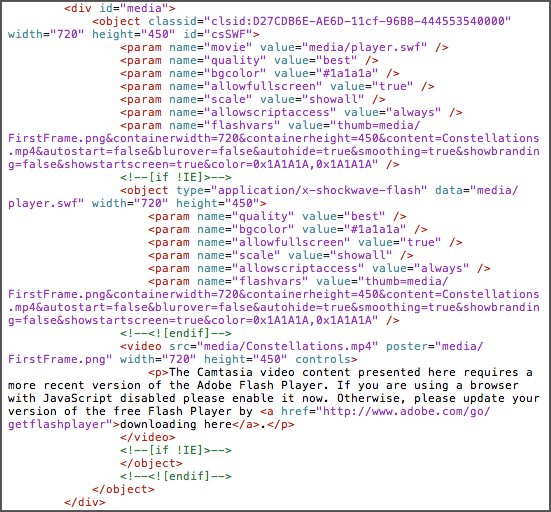 In Camtasia, you can create a MP4 video to embed on a web page or blog. By embedding the video, viewers can watch the video from within your website or blog. When websites or blogs include a link that directs users to another site to watch the video, viewers do not come back to the original web page. 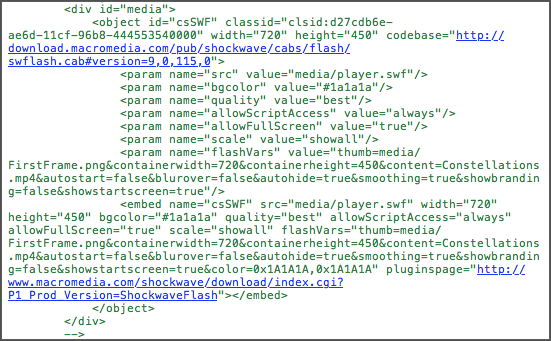 Select Share > Export as Web Page. Name the file and click Export. 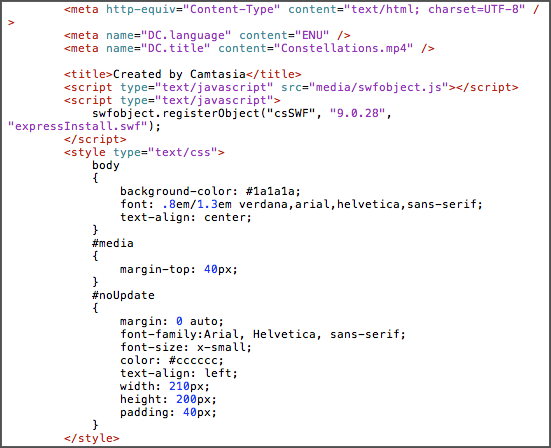 Open the .html file in an HTML editor, such as Adobe Dreamweaver. Control-click the .html file and select Open With > TextEdit. Double-click the .html file. In a web browser, select the View Source option. In Safari, select View > View Source. Copy the following files into your web page's directory: index.html and the Media folder. Note: In some websites or blogs, you may need to edit the code to point to the correct directory path. If the viewer has the required version of the Flash Player installed, the embedded video displays within the web page or blog. You can also embed a video onto a blog by uploading your video onto Screencast.com and copying the video’s embed code.